Head Chef Alfonso Lillo Fas, trained at El Bulli under world renowned head chef Pablo Montoro and is a tapas chef champion. 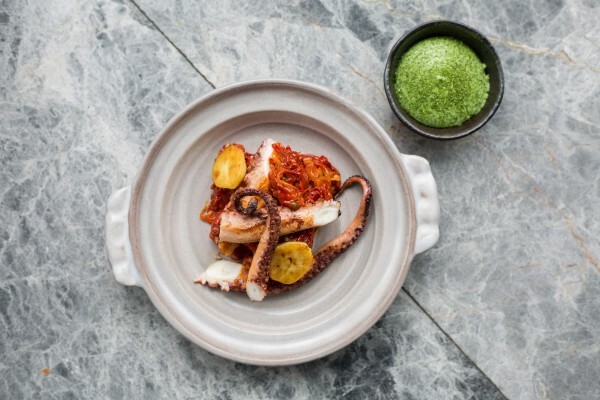 He has travelled from Spain to set up a restaurant with modern, European-style cuisine that sources the freshest ingredients from Europe to create modern dishes with a crisp, simple style. 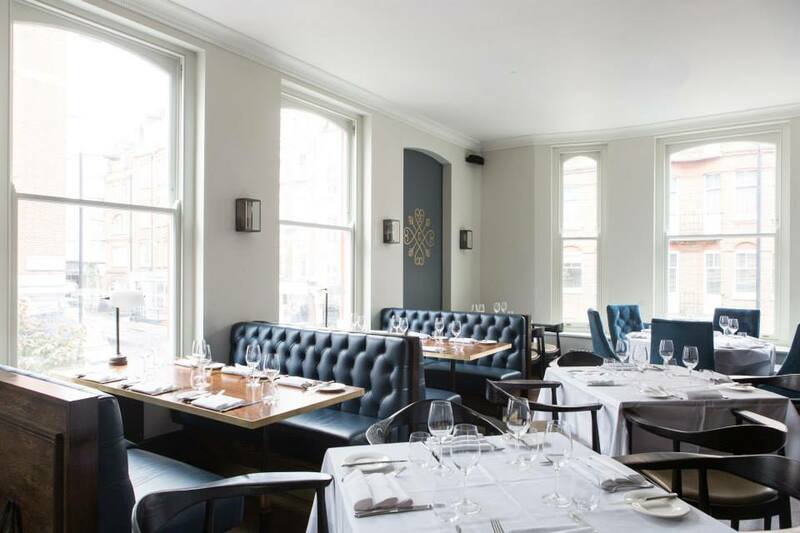 We were here to sample the first floor dining room, which was immaculately laid out. 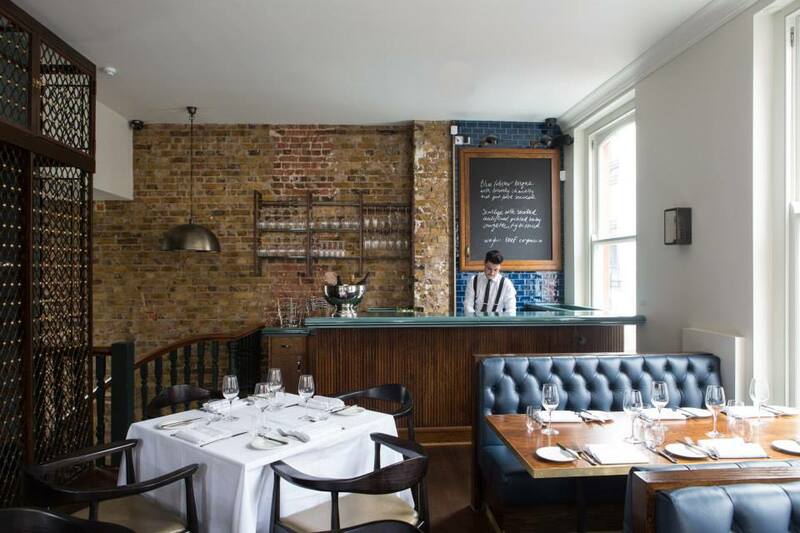 Boasting leather clad booths and exposed brickwork with an air of class and quality thrown in for good measure. 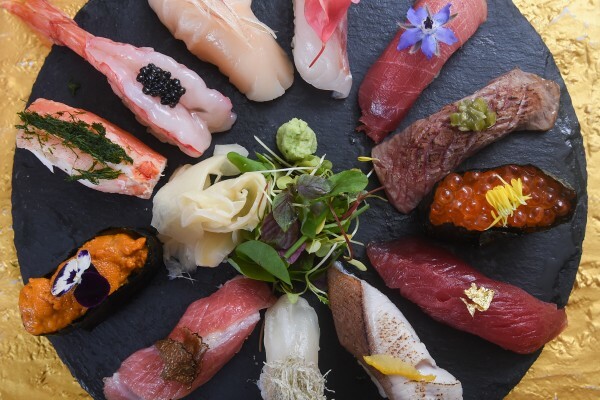 From the off it was obvious that service was paramount here as we were made to feel extremely welcome, with amuse-bouche served on arrival at the table. We ordered a bottle of the 2011 Salice Salentino Reserva red wine as we envisaged a hearty meal of red meat to match. This Italian red was wonderfully fruity and beautifully smooth, sliding down the palate with ease and set things perfectly for the meal to come. The starters at The Cavendish come with a price, so much so that we were slightly confused over what was a starter and what was a main. Price aside though, they certainly delivered. 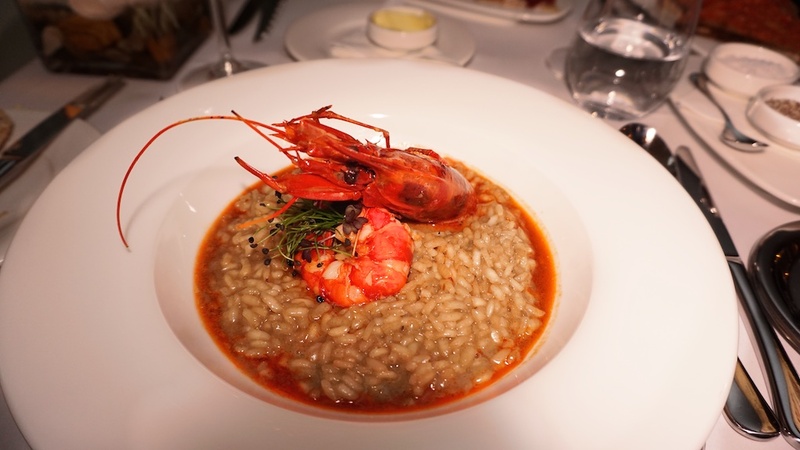 The Carabinero Prawn Risotto was a stand out dish, served in a light bisque broth with a large succulent prawn on top. The second starter was a plate of 5J Iberian Ham, hand cut and served with Sourdough Bruschetta. We aren’t blind to the price of Iberian Ham at all and it certainly packed a serious amount of flavour, as you would expect from such a premium product but maybe £24 is slightly on the expensive side for what is essentially a plate of ham? Needless to say, both dishes were absolutely spot on. After a top up on the wine, we set about attacking the main courses. 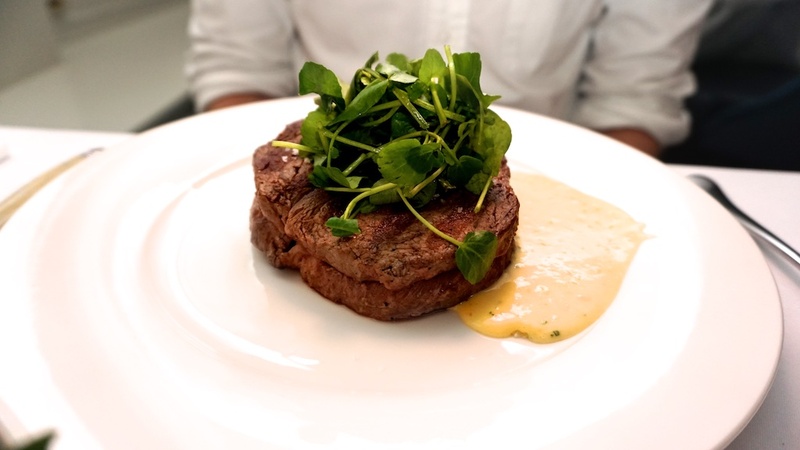 The first, a beast of a Ribeye Steak, served with Watercress & optional Béarnaise Sauce on the side (we must point out that our dining partner loves his Béarnaise). 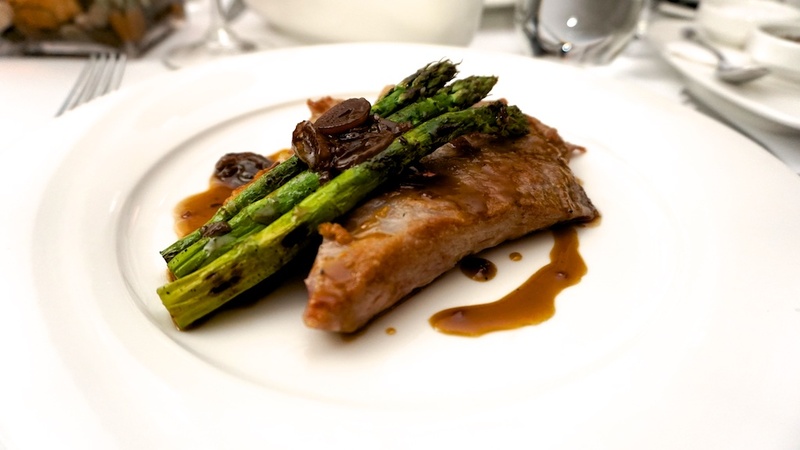 The second was the Secreto, a shoulder of Iberian Pork, served with Grilled Asparagus and Smoked Garlic Sauce. Both were exquisite. The steak being incredibly tender, cooked medium rare and falling to pieces on the palate. 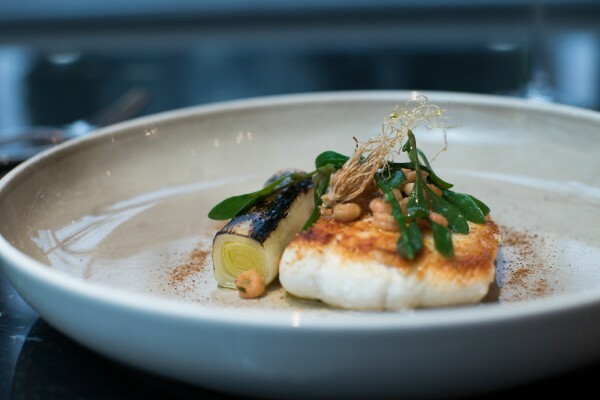 The Secreto was something completely different to anything we’ve tried before. Like the steak, it was beautifully tender and melted in the mouth but with an intense salty flavour that paired beautifully with the sweet garlic sauce. Side dishes to note were the Sautéed Spinach with Garlic, Chilli & White Wine and the brilliant Zucchine Fritte, these were a must. 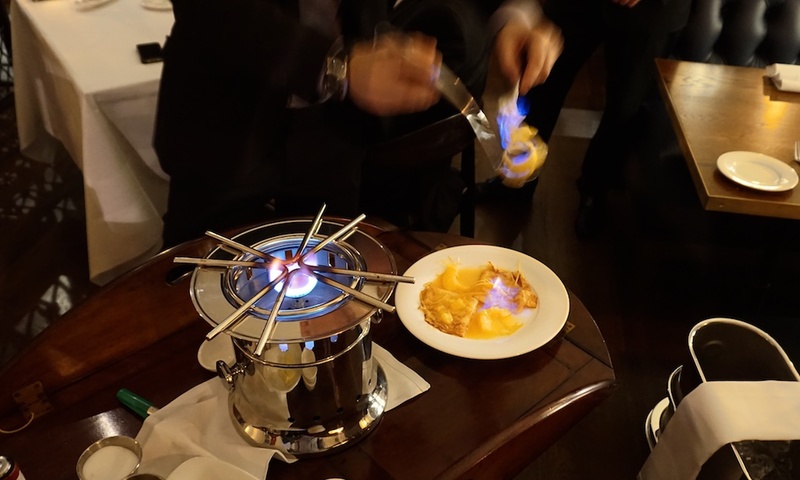 One of the specialties that The Cavendish prides itself on is table-side cooking for dishes such as the Steak Tartare and Crepes Suzette. 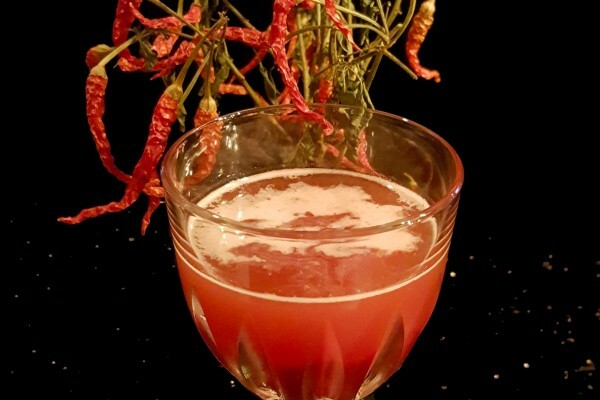 For a final flourish, we couldn’t say no to the latter and watched on as Andrea, whipped up a batch meticulously and with real flair, cascading lit brandy around a wound lemon peel. It’s a sight that must be seen in the flesh for sure! If that wasn’t enough, to finish off a superb night, we were offered a glass of a fine pudding wine and handmade macarons and truffles, made in-house of course. It was one last indulgence and the perfect way to end the evening. Anymore and we might have had to be rolled out of the restaurant! This is certainly one for a special celebration or night out and to do it justice, you better set aside a nice pile. It was definitely worth it though, with an excellent menu of European-style dishes, cooked to perfection and a service that was faultless throughout the night. The Cavendish is now open, so head on down now.